Received your unconditional offer from Plymouth university, but not sure if it's the right one for you? Here are 8 great reasons that makes Plymouth a great city to study in. Plymouth university is actually one of the largest universities in the UK with over 25,000 enrolled students in the last year! Plymouth university also sits in the top 100 universities in the university league table and is most recognised for it's marine and maritime work. Plymouth sits on the south coast of Devon and is around an hours journey into Cornwall, ideal for little weekend getaways in the summer with your uni friends! The city of Plymouth hold a range of different events throughout the year, most notably the annual British Fireworks Championships in August, which attracts thousands of visitors to the Plymouth waterfront to watch epic firework displays - definitely a event worth attending! Spend a day at the Barbican, a historic area of Plymouth that houses over 100 listed buildings and the largest concentration of cobbled streets in Britain. A great destination for shopping and taking in local history. Get involved in the various watersports available to try out in Plymouth, including scuba diving and sailing. You might even want to join a watersports society when you get to uni too. From seafood restaurants to pub dinners, Plymouth's food palette has a lot to offer. Check out Supah's Street Food Emporium for deliciously great value for money meals. Fancying a simple chippy tea? Head to West Hoe Fish Fryers for hands down the best chip shop in Plymouth. Nightlife is liekly to be a big part of your university experience, and Plymouth has a great range of student clubs and bars in North Hill near the university. 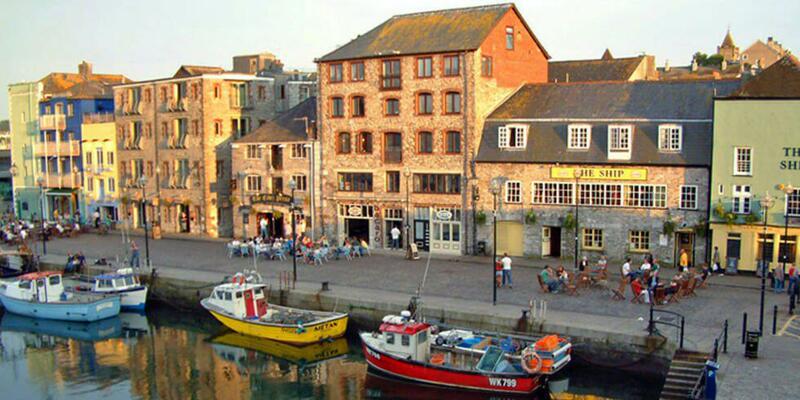 You'll also find tonnes of pubs and bars in and around Plymouth that are worth a visit. Enjoy shopping at Drake Circus with over 60 high street stores and restaurants, don't forget to download the UNiDAYS app and make use of all the big discounts available.